We invite current engineering graduate students to gain an insider’s perspective from alumni working in the field of Sustainability. Learn how to stand out in a competitive marketplace, and what competencies you can develop now to position yourself for future career opportunities in these emerging fields. This is the third event in a series of networking events for engineering graduate students. Don't miss this unique opportunity to network and make connections with these alumni on March 28th! 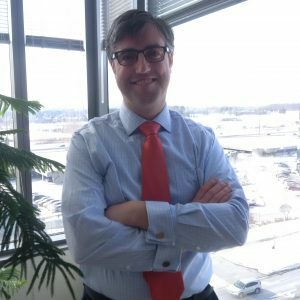 Stephan Wehr (EngSci 9T7) is a professional engineer and Vice-President of Technical Services at sustainability consulting firm The Delphi Group. Stephan is a graduate of the EngSci environmental option, and then went on to complete his M.A.Sc. in Chem. Eng. working with Dr. Elizabeth Edwards. For the past 15 years, Stephan’s primary focus has been to help clients from virtually every sector of the Canadian economy understand their energy use and greenhouse gas emissions profile and make the business case for tackling climate change. Sandra Odendahl (ChemE MASc 9T0) is President and CEO of CMC Research Institutes (CMCRI), an environmental company that leads clients to develop innovative carbon management technologies and strategies for competitive advantage. CMCRI facilitates the testing and scale-up of technologies that reduce carbon emissions from industrial sources, and is at the forefront of carbon capture, utilisation and storage (CCUS) and greenhouse gas monitoring technology development in Canada. Ms. Odendahl joined CMCRI in September 2017 with over 20 years of experience in environmental science, sustainability, and responsible finance. She previously headed the Royal Bank of Canada’s Corporate Sustainability, Social Finance and Social Innovation teams. Prior to joining RBC, she worked in the natural resources sector as an environmental scientist for Noranda in Montreal, and as an environmental impact assessment expert for BEAK Engineering in Toronto and Vancouver. Sandra is Board Chair of The (Toronto) Atmospheric Fund, and a board director and Audit Committee Chair of the Ontario Clean Water Agency (OCWA). She also enjoys serving on many expert panels and advisory groups. She has a Master’s degree in chemical engineering from the University of Toronto, and is a licensed professional engineer (P.Eng) and Chartered Financial Analyst (CFA) charter holder. Sandra lives with her husband and two children in Toronto. Liza Ballantyne (CivE MASc 9T9) is the Manager of Water Treatment and Caledon Distribution in the Public Works Water Division at the Region of Peel where she oversees the operations of lake- and groundwater-based water treatment facilities for the Region as well as the supply of water in Caledon. She has more than 20 years of process engineering and operations experience specializing in drinking water treatment in the municipal and engineering consulting industry. She has lead major design, construction, commissioning, process optimization, engineering technical review and master planning initiatives including projects focusing on lead corrosion control, disinfection, taste and odour treatment approach, ozonation, UV advanced oxidation, coagulation, gravity filtration, chloramination and nitrification prevention. Ms. Ballantyne has also lead research activities involving municipal pilot plants and university researchers to provide input into design, operating and optimization initiatives. 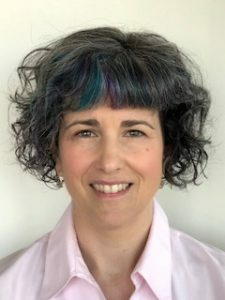 She is actively involved in the Ontario Water Works Association as a treatment committee member and is a past board Director, past-chair of the Young Professionals and Treatment committees. She graduated from the University of Toronto in 1999 where she obtained an M.A.Sc. in Civil Engineering specializing in drinking water treatment. 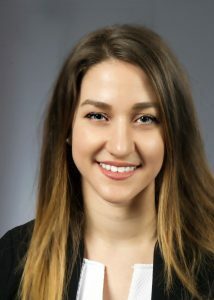 Alanna Komisar (CivE BASc 1T2, MIE M.Eng 1T7) completed her undergraduate degree in civil engineering in 2012 focusing on building science and her master of engineering in 2017 from mechanical and industrial engineering focused on energy data collection for smarter cities. Her career focus is on accelerating market adoption of existing and emerging sustainable technologies to facilitate a transition towards a greener economy and support more resilient critical infrastructure. In her current role as an Energy Solutions Advisor with Enbridge Gas Distributions, we collaborates with small Ontario manufacturers across sectors including (but not limited to) microbreweries, automotive, industrial painting, and industrial food services to reduce natural consumption. Her services generate multiple benefits such as lowering customer operational cost, reducing their carbon footprint, and lowering wear and tear on Enbridge’s infrastructure. Prior to Enbridge, Alanna worked at a Halifax-based carbon dioxide utilization start-up for the concrete industry called CarbonCure. There she led marketing efforts, projects, and grant applications for a technology that recycled waste carbon dioxide to make more environmentally friendly concrete. She has also worked with a Toronto-based non-profit called MaRS Discovery District where she supported Canada’s most promising emerging clean tech entrepreneurs. Kunal Phalpher (ECE 0T5) has extensive international experience in the lithium-ion battery and renewable energy sectors, with a focus primarily on strategy and business development. Kunal is currently the Chief Commercial Officer at Li-Cycle, a lithium-ion battery resource recovery company founded by a U of T Chemical Engineer. 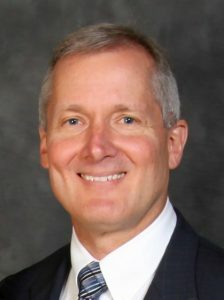 His prior experience includes working as a Director of Product Development at a residential solar company and Director of Business Development with a lithium-ion battery manufacturer in North America. Prior to those roles, Kunal spent a number of years in Germany working in the renewable energy and energy storage sectors. 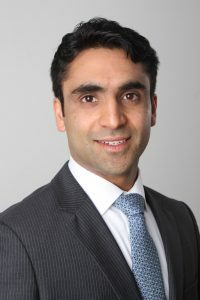 Kunal earned his Bachelor of Applied Sciences in Electrical Engineering from the University of Toronto and holds a Master of Business Administration from the Rotman School of Management. Patricia Escobar (CIV 1T4+PEY) is a Sustainability Analyst at Morrison Hershfield with over three years of experience in the sustainable building industry. She has served as a consultant on the successful certifications of LEED, BOMA Best and Toronto Green Standard projects. She has also created energy models using eQuest and EE4 for both building permit compliance and energy use intensity and has experience with performance audits. Notable projects she has consulted on include energy modelling for the Ryerson University Student Learning Centre and the LEED Consultation (LEED v4) on Digital Realty's TOR1 Data Centre, the first of it's scale in Canada. Ron Mantay (MechE 8T8; MBA 9T3) is a Professional Engineer and MBA who earned a commercial pilot license, owned a light aircraft and worked as a licensed Aircraft Maintenance Engineer prior to studying Mechanical Engineering at University of Toronto from 1984 to 1988. He graduated from the University of Toronto MBA program in 1993 where his studies focused on marketing and strategy. Ron served for 10 years at IBM and Celestica with progressive responsibility in engineering, finance and program management. He then served for 7 years at ATI Technologies (now AMD) in semiconductor program management and sales leadership. 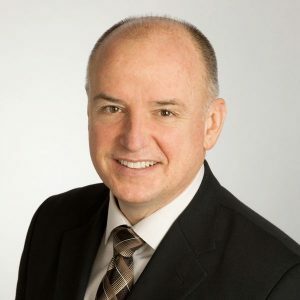 Ron worked for over 10 years in the electricity sector (solar energy) and most recently served as VP Engineering and Construction for nearly 7 years in the Renewable Generation division at a major Ontario electricity distributor until 2017. During his career, he has worked at 11 companies in 4 industries in over a dozen roles in 6 cities spanning 3 provinces. Ron is a seasoned executive with proven skills in strategic sales, team leadership, project execution, engineering and construction. Dean Whittaker (ChemE MASc 0T2) has more than 17 years of experience in the water and wastewater infrastructure sector. He has been responsible for the design and construction of a variety of water and wastewater infrastructure projects for both public and private-sector clients. Dean’s past works has included Class EA studies, preliminary design, detailed design as well as contract administration and commissioning for a number of water and wastewater facilities. He has also conducted public private partnership reviews and evaluations for water and wastewater servicing agreements, complete asset management and ten-year capital fiscal infrastructure plans, as well as assisted in the preparation of cost sharing agreements for land development. 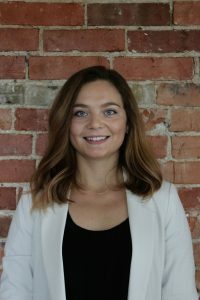 Caitlin McHose (CivE MASc 1T8) is a consultant with the Energy Practice in Navigant’s Toronto, ON office. 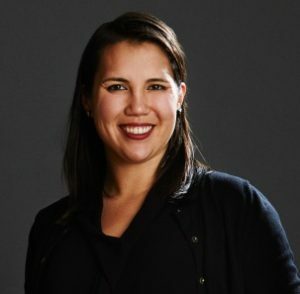 As part of the Sustainability Solutions Team, Caitlin has experience in carbon foot printing, carbon pricing, corporate sustainability, climate and adaptation policy for cities, materiality assessments, and Science Based Target setting. Specifically, she has experience providing carbon offset accounting services for clients participating in Cap & Trade in the US, has worked on carbon leakage assessments for European clients subject to the EU Emission Trading System, has conducted a materiality assessment for a large multi-national company, has performed financial modeling of renewable energy options for communities in Northern Canada, and has contributed to The Generation Foundations and CDP’s Carbon Pricing Unlocked project. Additionally, she has training in Life Cycle Assessment methodologies. Caitlin has also worked on a number of projects outside of the Sustainability Solutions Team at Navigant, including energy efficiency benchmarking of commercial and residential appliances, cost-benefit analyses of local distribution companies’ conservation demand management plans, and contribution to the Conservation First Framework for the Independent Electricity Systems Operator (IESO). Caitlin holds a B. Sc. from McGill University in Environment, and an M. Eng. in Cities, Engineering, and Management from the University of Toronto, in which she specialized in sustainable energy systems. 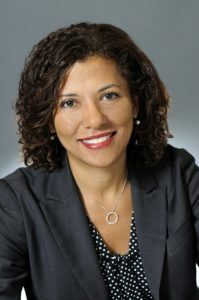 Her city-related work has included contributions to the City of San Antonio, Texas, and the City of Madison, Wisconsin’s sustainability plans. 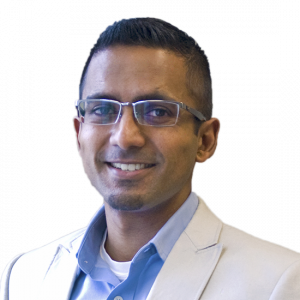 Ravi Mahabir (Chem Eng 0T3) has over 15 years of experience and is the technical service lead for Atmospheric Services. Ravi is experienced in both climate change mitigation and adaptation planning. Ravi’s experience in the adaptation planning realm includes the customization of the Engineer’s Canada PIEVC protocol for application at a community scale and to incorporate Traditional Knowledge from First Nations, the development and delivery of capacity building workshops for First Nations communities on behalf of the Government of Alberta, analysis of adaptation options to select preferred system design/technologies for greenfield infrastructure development, assessing the economic impacts of extreme weather events on rail business operations, climate change risk and vulnerability assessment and adaptation planning for water utility services, adaptation planning for First Nations and assessing adaptation options for the Caribbean tourism sector. Ry Smith (Mech 8T3) is President of Change Energy Services, a leading authority and full-service provider of compressed gas fuelling solutions. Mr. Smith brings over 28 years of expertise in projects related to the design and development of CNG, LNG, and hydrogen vehicle refuelling infrastructure and solutions. With a holistic approach, his practical knowledge and experience covers the complete range of technical, regulatory and multi-stakeholder requirements that projects such as these entail. Prior to Change Energy, from 2003 to 2008 Mr. Smith was Director of NRCan’s Hydrogen Village Program – a consortium-based program administered by Hydrogen & Fuel Cells Canada. This program delivered more than two dozen H2 and fuel cell technology deployments in Ontario, targeting near-term market opportunities for a range of mobility, stationary, and power grid applications. • Director of Transportation Business development with Stuart Energy (now Hydrogenics), a commercial provider of electrolytic H2 systems for energy (stationary power and vehicle refuelling) and industrial process requirements. Over the course of these years Mr. Smith has been involve in the design, engineering and project management of more than 120 NGV and H2 vehicle refuelling stations. He also managed the operations of over 60 NGV refuelling facilities serving a SW Ontario network of over 8,000 vehicles at both private on-site and public retail stations. 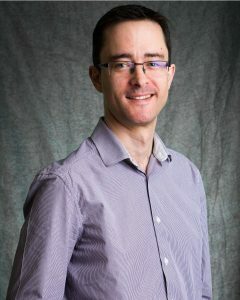 Mr. Smith is Chair of the Transportation Strategic Steering Committee of the Canadian Standards Association (CSA) responsible for strategic direction for all of CSA’s alternative transportation fuel codes and standards. He also chairs the Standards Committee for the Canadian Natural Gas Refuelling Stations Installation Code (CSA B108). He has also actively participated in the development of other Codes, Standards and Regulations for the Hydrogen and Natural Gas Vehicles industries. In 2010 he authored Modelling Sustainable Natural Gas Vehicle End Use Applications (jointly with NRCan) as a key component of the Natural Gas Use in Transportation Deployment Roadmap. This document was updated and significantly expanded in 2018. As a recognized authority on hydrogen applications Mr. Smith has been extensively engaged to speak in North America and Europe on the opportunities of a Hydrogen Economy and the integrated energy system pathways that can take us there. Mr. Smith is a Professional Engineer in the Provinces of Ontario, New Brunswick, Nova Scotia, and Newfoundland. • report writing, including crafting emission quantification guidance documents. 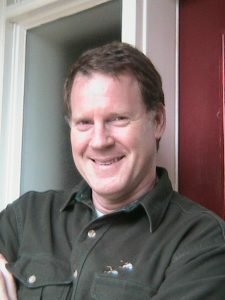 Mr. Palmer holds a chemical engineering degree (1981) and an MBA (1987) from the University of Toronto. He is an Environmental Professional - GHG Verification – and has been EP(GHG) certified by ECO Canada. He is fluent in French. Yousef Abu-Hassan (MECH 1T5) is a mechanical engineering graduate, with focus on Energy and Manufacturing and a Minor in Sustainable Energy. He is currently working at JLL (Jones Lang Lasalle) as an energy analyst/energy project manager. He manages a portfolio of over 700 commercial facilities across the country. Yousef is a part of the Energy Team that implemented $9.7M of capital energy efficiency projects, saving 45 GWh since he joined in late 2015. Yousef leads the national LED retrofit program, completing 72 retrofits across the country since 2017, responsible for saving 5.8GWh. Yousef is also in charge of Energy reporting and analytics, that involves bench-marking, measurement and verification of implemented savings, CSR and GHG Reporting and weather regression modelling. 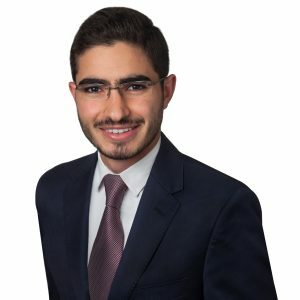 Outside of JLL, Yousef co-founded SettleIn, a non profit organization the provides career mentorship to graduating and PEY students, connecting them with Industry professionals for resume / cover letter and interview guidance. SettleIn also provides mentorship for new comers to Toronto and assists them in settling in into a new City. All proceeds and donations go to sponsoring refugee families into Canada. Yousef just completed his CEM (Certified Energy Manager) certification.